Janoschka Izmir will be present at the İPAF fair in Istanbul, the International Plastic and Packaging Technologies & Products Exhibition. Well-established on the Turkish packaging market since 2011 and meanwhile among the leading prepress providers for the local packaging printing industry, Janoschka Izmir will exhibit on this year’s iPAF fair and its exhibition special “Pack-Ist” focusing on the flexible packaging market. 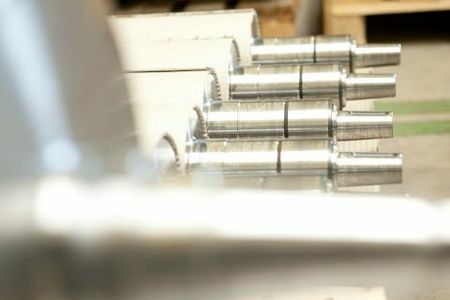 Besides rotogravure printing formes and artwork and reproduction services for gravure, flexo and offset printing, Janoschka Izmir has started steelbase production for both the local and the European market end of 2012. Using the latest equipment, both axial and hollow cylinders are supplied, either as pure cylinder base, or ready for engraving or of course engraved, depending on the customer’s requirements. For short lead-times Janoschka currently produces conventional and light-weight cylinder bases at seven sites in Germany, France, Portugal, Russia, Vietnam, Argentina, and Turkey. For more information please contact Emre Candan, Managing Director Janoschka Izmir, Tel. +90 232 376 7005.